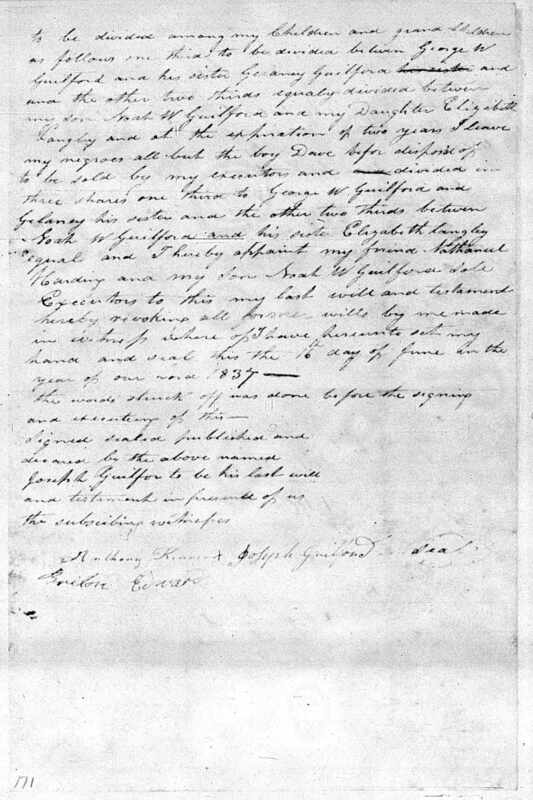 Joseph GUILFORD was already in his 70s when he began his relationship with Harriet, who was around 20 at the time. 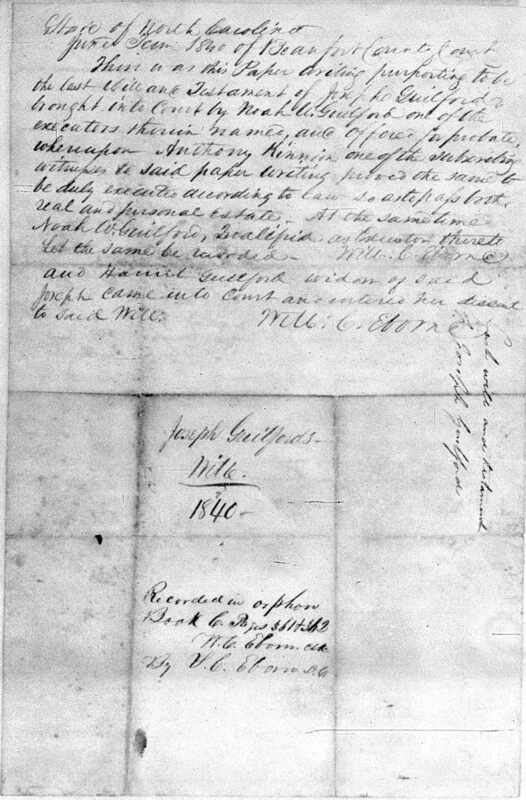 By 1839, Joseph GUILFORD had married Harriet and had a son by her, Joseph McD. GUILFORD. The next year, he Joseph died. The widow Harriet then married Thomas LEWIS (b. abt 1815) of Beaufort County. The son, Joseph McD. GUILFORD married Winifred BEST. 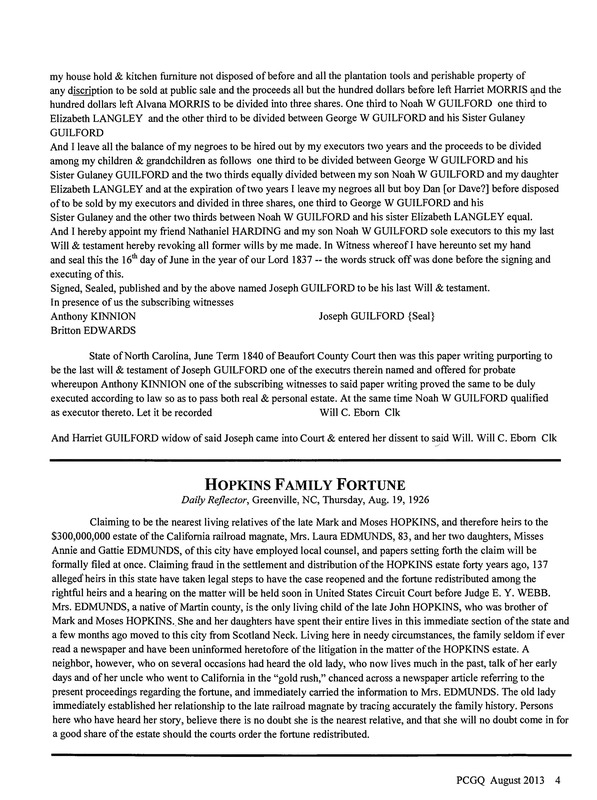 They had one daughter, Harriet Elizabeth GUILFORD. 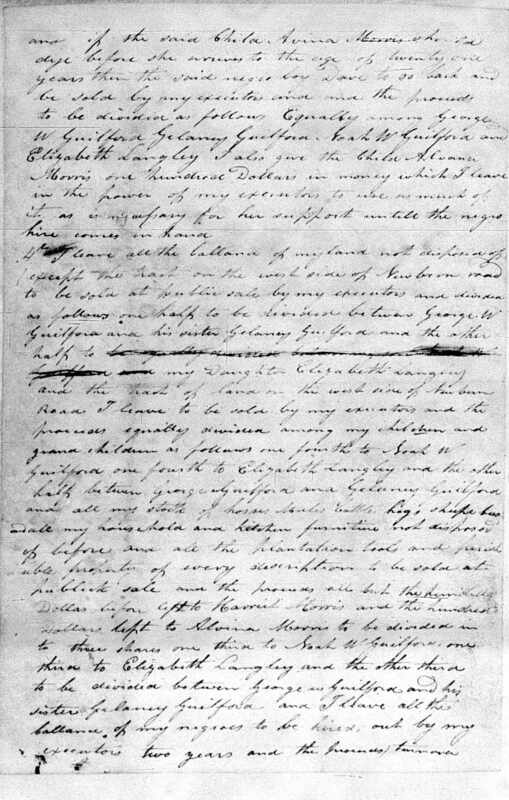 I’ve long been intrigued by Harriet and Alvana because of how close Alvana sounds to Alpha, which was the name of Laban and Caroline’s only daughter that I know about. There is an unknown girl in the household with Laban’s family the first time they are named in the census. That girl would be the right age to be Harriet, but again, I’m not convinced she’s his daughter, though she could very well be some kind of relative. There’s also a Nancy MORRIS living in Laban and his son William’s households in the 1850 census. She was born in 1822, but since she’s listed after the other children, she apparently isn’t a daughter of Laban or William. The point is, there are young women somehow associated with this MORRIS family and we can’t figure out who they are. Do you descend from any of the individual’s above? If so, are you turning up DNA matches to any of Laban Morris’s descendants? Comment below or email eastcarolinaroots [at] gmail.com if you think you’d like to mention your name and where you’ve tested and I can check against some of our known Laban Morris descendant kits. 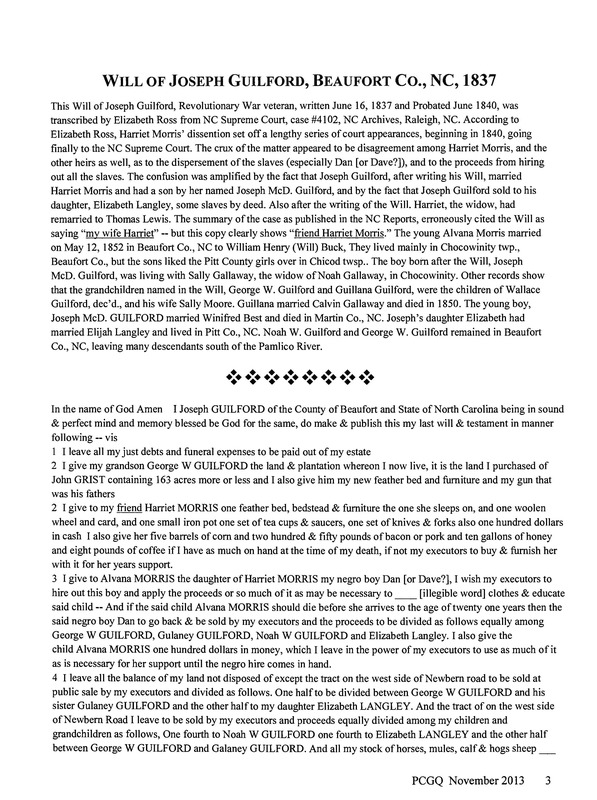 Alvana Morris was the daughter of Dan or Dave ( slave of Joseph Guilford ), and Harriet Morris. 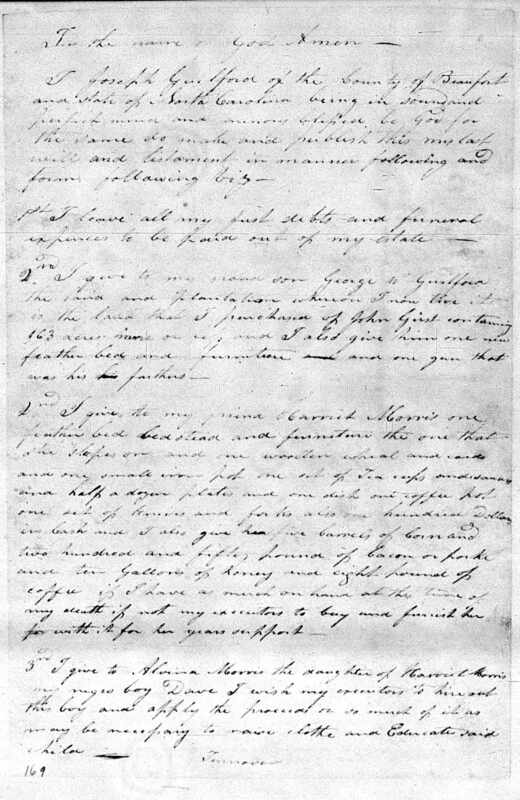 Joseph Guilford states this in his will, and he leaves a small inheritance for Harriet’s daughter. You are correct. I have been stuck on Tom Lewis and Harriet Morris for so many years. They are my 3rd great grandparents.